4.32 September 14, 2014: Are the Cities Near the Ferndale Refinery Prepared for an Oil Train Derailment? 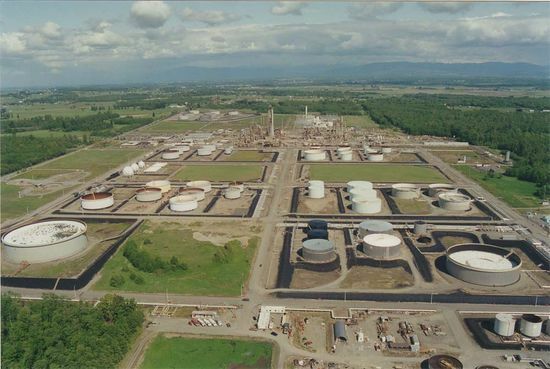 The Ferndale Refinery is located on Puget Sound in Ferndale, Wash., about 20 miles south of the U.S.-Canada border, and has a crude oil capacity of 100 MBD. The refinery processes primarily light, Alaska North Slope crude oil. Ferndale operates a deepwater dock capable of accommodating tankers transporting Alaskan North Slope crude oil from Valdez, Alaska. It also receives Canadian crude oil via pipeline. Ferndale Refinery facilities include a fluid catalytic cracker, an alkylation unit, a diesel hydrotreater and an S-ZorbTM unit. The refinery produces transportation fuels, such as gasoline and diesel fuel. Other products include fuel oil supplying the northwest marine transportation market. Most refined products are distributed by pipeline and barge to major markets in the northwest United States. My Ferndale News reported on January 12, 2019 that the Boys & Girls Clubs of Whatcom County (BGCWC) announced this week they have received a $265,000 grant from Phillips 66 to be used toward an organization-wide program to provide science, technology, engineering and mathematics (STEM) equipment and educational programs. KGMI reported on April 17, 2018 that a flaring event at the Phillips 66 Refinery in Ferndale had some neighbors concerned as a power disruption caused the facility’s safety system to activate to place all refinery units in a safe state causing the flare-up and loud noises that accompanied it. The refinery's Public Affairs Director, Josh Summers says there were no injuries or shelter in place calls and air monitoring found no off-site impacts. Seven Worker Were Sent to the Hospital After a HydroFluoric Acid Leak at Phillips 66 Ferndale Refinery. Seven contract workers were taken to St. Joseph hospital on February 11, 2017 after a toxic hydrofluoric acid leak at Phillips 66's Ferndale Refinery. The leak was from the refinery's alkylation unit, the Bellingham Herald said, citing a company statement. Alkylation units use hydrofluoric acid to convert refining byproducts into octane-boosting components of gasoline. Phillips disagrees with the assessment of the fine, saying a contractor was at fault. 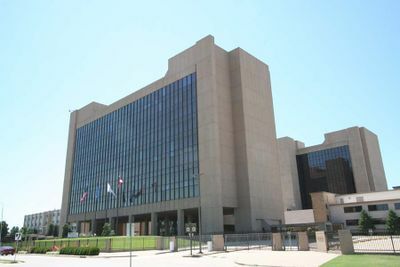 “The incident in question occurred when a trained contractor improperly disconnected an enclosed rod out tool from an open drain valve in the alkylation unit,” Phillips stated in its appeal. “The incident was not caused by the failure to develop or implement safe work practices, but by a contractor’s failure to follow them." A hearings officer will decide the matter by Aug. 28, according to L&I spokeswoman Elaine Fischer. Discover Ferndale reported on July 4, 2017 that flaring caused by activated safety system at the Phillips 66 Ferndale Refinery at 3901 Unick Road sent up a plume of smoke over west Ferndale, alarming some nearby residents. According to Josh Summers, director of public affairs at Phillips 66, “All personnel are safe and the refinery is operating normally.” The plume subsided shortly after it began but the black cloud it created could be seen floating to the southeast as it dissipated. Odor Said to Be From Phillips 66 Ferndale Refinery Sends Students Home Early. Students at Horizon Middle and Cascadia, Skyline and Eagleridge elementary schools, all within a mile of each other near Thornton Road, reported a strange odor at about noon on June 1, according to the Ferndale School District. Staff and students also reported feeling sick, with symptoms of burning eyes and coughing. Students were sheltered in place while the cause of the odor was investigated. The Northwest Clean Air Agency responded to the reports of the strong odor after receiving phone calls from residents starting around 1:30 p.m. One caller said the source appeared to be the Phillips 66 refinery at 3901 Unick Rd., about two miles southwest of the schools. Data from the National Oceanic and Atmospheric Administration showed that winds were blowing in the direction of the schools at the time of the Thursday refinery upset, he said. Although there is no direct link, Preston said the reactions of students and others in the area were consistent with the strong odors reported at the refinery. The NWCAA is working with Phillips to determine the cause, he said. Responding agencies on site, including a NWCAA inspector, could not locate or verify an exact source of the odor. However according to the Bellingham Herald by June 6, 2017 the Northwest Clean Air Agency said that they haven’t been able to verify the source. “The stumbling block for us is that by the time we got an inspector up there to investigate, there was no detectable odor,” said Seth Preston, a spokesman for the agency based in Mount Vernon. It’s possible the Phillips refinery was involved, said John Gargett, deputy director of emergency management with the Whatcom County Sheriff's Office. But he’s skeptical. The upset at the refinery occurred around 8:30 a.m., long before people started to smell something in Ferndale, according to Phillips’ report to local officials. “Were they related?” Gargett said. “Maybe, but that’s about as far we’ve gotten.” Officials have looked into many possible causes: local farms, or a pipeline leak, or even something unpleasant being shipped by rail, but so far they’ve come up with nothing. The other companies that refine or transport oil products along the shoreline of Whatcom County – BP and Kinder Morgan – also found no problems. Greg Garland told analysts during the quarterly earnings conference call on April 28, 2017 pursuing high-return quick-payout projects in refining. "At the Billings Refinery, we're increasing heavy crude processing capability to 100%. This project is expected to be finished later this quarter. At Bayway and Wood River Refineries, we're modernizing SCC units to increase Phillips 66 is clean product yield. Both of these projects are expected to complete in the first half of 2018." Garland added that during the quarter, Phillips 66 had major turnarounds at the Ferndale, Bayway, Lake Charles and Wood River refineries. "So during the quarter, we successfully completed several major turnarounds in Refining and Chemicals. This represents our highest level of turnaround activity in a quarter since the formation of our company." The Bellingham Herald reported on February 22, 2017 that the Phillips 66 contractor who was hospitalized after a hydrofluoric acid leak at Phillips 66's Ferndale Refinery earlier this month has been released, Dennis Nuss, a company spokesman, said in an email. Six other workers – five contractors and a Phillips employee – were also taken to St. Joseph Hospital after hydrofluoric acid was released at the refinery and were released hours after being admitted. Phillips 66 has not released the man’s name or the nature of his injuries. The cause of the leak remains under investigation, Nuss said. One Worker Remains Hospitalized After HydroFluoric Acid Leak at Phillips 66 Ferndale Refinery. 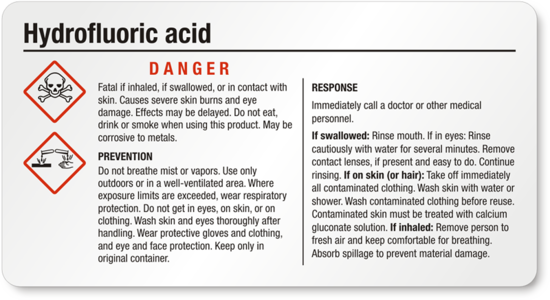 According to a report from the Center for Public Integrity, Hydrofluoric acid, known for its ability to race long distances in a cloud, is extremely toxic. It causes lung congestion, inflammation and severe burns of the skin and digestive tract. It attacks the eyes and bones. Experiments in 1986 detected the acid at potentially deadly levels almost two miles from the point of release. The Phillips 66 refinery in Ponca City is one of three refineries in Oklahoma that use Hydrofluoric acid. 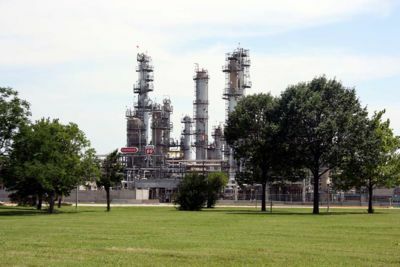 The HF Alkylation Unit (Alky) at Ponca City Refinery uses hydrofluoric (HF) acid as a catalyst to promote the reaction of olefin with isobutane to form high-octane gasoline blending components. A few companies, under pressure from advocacy groups and regulators, have switched to a modified form of the acid, which still poses significant risks to workers and communities but is less likely to travel as far. Reuters reported that one contract worker remained hospitalized on Saturday after a hydrofluoric acid leak at Phillips 66's Ferndale, Washington, refinery on Friday, the company said in a statement. The leak was from the refinery's alkylation unit according to a report on the Bellingham Herald newspaper website. Alkylation units are considered the most dangerous in a refinery because a release of hydrofluoric acid from an explosion or fire could spread a possibly lethal vapor cloud across surrounding communities. According to a report from the Center for Public Integrity, Hydrofluoric acid, known for its ability to race long distances in a cloud, is extremely toxic. It causes lung congestion, inflammation and severe burns of the skin and digestive tract. It attacks the eyes and bones. Experiments in 1986 detected the acid at potentially deadly levels almost two miles from the point of release. Despite decades-old warnings that the compound, commonly called HF, could cause mass casualties — and despite the availability of a safer alternative — 50 of the nation’s 148 refineries continue to rely on it. At least 16 million Americans, many of them unaware of the threat, live in the potential path of HF if it were to be released in an accident or a terrorist attack, a joint investigation by the Center for Public Integrity and ABC News has found. The government maintains closely controlled reports outlining worst-case scenarios involving highly hazardous chemicals. The Center reviewed reports for the 50 refineries that use HF. The reports describe the most extreme accidents anticipated by the plants’ owners. The information is not published and is not easily accessible by the public. According to a report from the Center for Public Integrity, the refining industry plays down the risks of Hydrofluoric acid, saying it has adequate safeguards in place and the chances of a catastrophic accident at any one location are slim. “There hasn’t been any HF release that has impacted the communities,” said Charles Drevna, president of the National Petrochemical & Refiners Association. “We’ve controlled them.” The industry should take the threat more seriously, said Paul Orum, a chemical safety consultant who works with public-interest groups. “These are low-probability, high-consequence events, which is why any individual company is not, by itself, motivated to make potentially expensive changes to a safer technology,” Orum said. Refiners use HF as a catalyst to make high-octane gasoline. A few companies, under pressure from advocacy groups and regulators, have switched to a modified form of the acid, which still poses significant risks to workers and communities but is less likely to travel as far. No refinery owner has embraced a product known as solid acid catalyst, which union officials and chemical safety experts say is far safer than HF. The industry says that making a switch would prove too complicated and expensive. The cost of shifting from HF to alternatives is somewhere between $50 million and $150 million per refinery. The Bellingham Herald reported on October 20, 2016 that Phillips 66 replacing a crude distillation tower that was installed at the Ferndale Refinery in late 1954. The 16-story tower was recently delivered to the refinery and should be in operation sometime in 2017. The tower takes heated crude oil and creates different components as it is recaptured at different temperatures. Those components include butane, gasoline, kerosene and diesel. Up to 120 contract workers will be on the project during installation and it will take about 70,000 contractor hours to complete. The Bellingham Herald reported on June 1, 2016 that Washington state regulators have unveiled an updated plan to limit greenhouse gas emissions from large polluters, the latest attempt by Gov. Jay Inslee to push ahead with a binding cap on carbon emissions after struggling to win approval from legislators. The rule would initially apply to facilities that release at least 100,000 metric tons of carbon a year including Phillips 66's Ferndale Refinery. Under the proposed rule, expected to be finalized in late summer, large emitters would be required to reduce carbon emissions by about 5 percent every three years, and show they achieved an average reduction of 1.7 percent per year. Kris Johnson, president of the Association of Washington Business, said his group is still concerned about the potential economic damage from this new regulation. “Placing a cap on carbon emissions that targets Washington’s best employers sends the wrong signal to businesses of all sizes, both those that are here already and those hoping to relocate here, by driving up energy costs for employers and families at a time when we are already beginning to see signs of an economic slowdown,” he said in a statement. But some critics said the proposed rule doesn’t require enough emissions reductions and disregards current science. “We are extremely disappointed,” said Andrea Rodgers, an attorney representing young activists who sued the state to adopt new rules to limit carbon emissions based on the best-available science. Phillips reported a flare gas recovery system upset and excess sulfur dioxide emissions at its Ferndale, Washington refinery, according to a filing with the Northwest Clean Air Agency. The company also said there was no planned maintenance currently underway at the refinery. The Bellingham Herald reported on January 14, 2015 that Phillips 66 was hit with a $324,000 fine by the state for several workplace violations revolving around fire and hazardous chemical safety at Ferndale Refinery. The refinery received the fine for violations that took place in 2014 and were not corrected, according to a news release from the Washington State Department of Labor & Industries.The 2014 citations are under appeal, but state law requires employers to correct hazards even if the violations are under appeal, according to L&I. The refinery was cited for three violations, each carrying a $108,000 fine. Two involve the refinery’s firefighting and fire suppression systems. According to the state agency, Phillips 66 did not inspect or follow recognized and generally accepted engineering practices for the firefighting water tank or the buried firefighting water distribution piping. The company also failed to address the potential loss of firefighting water, according to the report. The third violation involved not consulting industry material before writing a policy about chemical piping. Following the company’s policies potentially allowed workers to be potentially exposed to hydrogen sulfide, a poisonous gas, and explosive flammable hydrocarbon vapors at much higher concentrations than considered safe. Employers in high-hazard chemical industries are expected to make sure that their internal policies and guidelines reflect current good engineering practices across those industries and that they meet local regulations, which may be stricter than national regulations. Phillips 66 Ferndale Refinery spokesman Jeff Callender said company officials were disappointed by the announcement from the agency and believe there is a misunderstanding related to the citations. They plan to continue to work cooperatively with the agency through the appeals process. “The safety of the community, the environment and our people are of the utmost importance to our company and these priorities guide our efforts in everything we do,” said Callender. The Bellingham Herald reported on January 6, 2015 that Wahington state’s largest industrial emitters would be required to reduce carbon emissions by 5 percent every three years, under a proposed rule from the Department of Ecology. Phillips 66's Ferndale likely would be included in the first wave of facilities required to meet the reductions under the rule, as would Puget Sound Energy’s generating stations at Ferndale and Sumas. The proposed rule’s starting thresholds are based on average emissions from 2012 to 2015. “It’s important that we act now to protect our water supplies, infrastructure and economy for future generations,” said Ecology Director Maia Bellon. The agency has scheduled four public hearings. It expects to finalize a rule by summer. Reuters reported on December 21, 23015 that a fire occurred at Phillips 66's refinery in Ferndale, Washington. "Emergency responders from Phillips 66 immediately extinguished the fire. There were no injuries and the incident is under investigation," a spokesperson for Phillips 66 said. The company did not say whether the fire had impacted operations, or which units were impacted by the fire. A fire was reported on Friday night at Phillips 66’s refinery in Ferndale, Washington. Emergency responders from Phillips immediately extinguished the fire and the incident was under investigation. The company did not say whether the fire had impacted operations, or which units were impacted by the fire. The Bellingham Herald reported on December 15, 2015 that Phillips 66 Ferndale Refinery is donating $700,000, the largest known gift the Ferndale refinery has made in Whatcom County, for two new artificial turf fields, lights and a scoreboard for Northwest Soccer Park in Bellingham, Washington. The gift comes with an agreement that includes renaming the facility Phillips 66 Soccer Park. Funding for the project was put together over the course of a few years. Phillips 66 was motivated to make its large donation because the project improves the community, said Rich Harbison, Phillip 66’s Ferndale refinery manager. The company said previous work with Whatcom Sports and Recreation were positive experiences. “It gave us confidence that they could hit the goals they set for this project,” Harbison said. The first soccer fields were installed in the late 1980s when the county began renting the area to what was then the Whatcom Soccer Commission. Participation grew about 15 percent a year, so the soccer organization added fields, hitting its current size about 15 years ago, said Chet Lackey, who is on the board of Whatcom Sports & Recreation. The nonprofit organization also operates Bellingham Sportsplex and Civic Complex. Phillips reported an unspecified startup on October 6 at its 101,000 b/d Ferndale, Washington refinery. Samantha Wohlfeil reported in the Bellingham Herald on July 13, 2015 that Whatcom County environmentalists want to step in as watchdogs and keep tabs on the trains rolling through their backyards to Phillips Fernade Refinery and BP's Cherry Point Refinery. RE Sources for Sustainable Communities staff members have asked people who are interested in environmental activism if they own property near the tracks, and if they’d be willing to host a camera there to document train movements. All the details of the project are not hammered out yet, but the basic premise is to gather proof of oil trains coming and going through Whatcom County and double check it against reports required at the state and federal level, said Matt Petryni, clean energy program manager at RE Sources. Phillips reported a boiler shutdown at Ferndale Refinery according to a report from Reuters on June 2, 2015. The Bellingham Herald reported on May 14, 2015 that Phillips 66 has donated a total of $166,000 to five Whatcom County nonprofit organizations including the Northwest Straits Foundation ($50,000), Whatcom Community Foundation ($50,000), United Way of Whatcom County ($41,000) and the Boys & Girls Clubs of Whatcom County ($25,000). Phillips reported SRU Emissions at Ferndale Refinery on April 22, 2015 . Greg Garland told analysts during the third quarter earnings conference call on October 29, 2014 that the 30,000 barrel a day rail rack at Phillips Ferndale Refinery is in the commissioning phase. "We're constructing a rail loading facility with up to 200,000 barrels a day of capacity in North Dakota. In August, our Company began operations at its 75,000 barrel a day rail rack at the Bayway Refinery, and the 30,000 barrel a day rail rack at our Ferndale Refinery is in the commissioning phase. This quarter, we improved our advantaged crude capture to 95%." 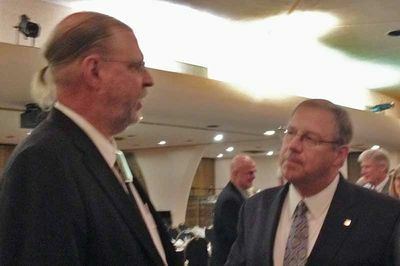 "The rail unloading facilities at our Bayway and Ferndale refineries and the Cross-Channel Connector Pipeline are great assets," Garland added. "They tie into and they support our operations." Reuters reported on October 22, 2014 that Phillips 66 expects its facility capable of unloading 30,000 barrels of crude oil per day from trains at its Ferndale refinery to be operational in November. Phillips is building the offloading facility adjacent to its 100,000 barrel-per-day (bpd) Phillips 66 Ferndale Refinery, which is located on Puget Sound. The facility will be capable of unloading 54 railcars simultaneously. The Bellingham Herald reported on October 20, 2014 that Whatcom County's oil refineries were some of the biggest polluters in Washington state last year, according to the latest data from the U.S. Environmental Protection Agency. The Phillips 66 refinery in Ferndale released more than 769,000 tons of carbon dioxide making it the third largest polluter in the County after TransAlta's Centralia Plant (7.5 million metric tons of pollutants) which is scheduled to completely shut down by 2025 under a state law passed in 2011 and British Petroleum's Cherry Point Refinery. A Washington state law requires facilities that emit more than 10,000 metric tons of greenhouse gases per year to report their pollution to the state Department of Ecology. Those sources have reported their 2012 emissions to the Department of Ecology. Reports for 2013 emissions are due later this month. September 14, 2014: Are the Cities Near the Ferndale Refinery Prepared for an Oil Train Derailment? Garland also said that Phillips has ordered another 500 railcars to increase its fleet to 3,700 railcars. which will allow it to eventually move up to 185,000 barrels per day (bpd) of North Dakota Bakken crude oil to its refineries on the East and West coasts. Phillips reported a utility steam interruption and excess opacity in the FCC flue gas scrubber stack on August 17 and sulfur recovery unit (SRU) emissions on August 15, according to a filing with the Northwest Clean Air Agency. Ahmed Gaya wrote on August 6, 2014 that he and two retirees locked ourselves to the train tracks at Tesoro’s Anacortes Oil Refinery on July 28, 2014 blocking at least one oil train for five hours to protest oil-trains running through the International District in Seattle, bound for Washington refineries. "With every disaster and near miss politicians express outrage and point fingers, while regulators issue half measures and promises for safety down the line. While this goes on the number of explosive trains running through our communities steadily increases. About 12 run through the International District every week. Once construction is complete on a rail terminal at the Phillips 66 refinery in Ferndale District, residents could see three per day," writes Gaya. "So our task is clear—stop the transportation of oil and other fossil fuels through our communities. If they can’t ship it, they can’t sell it, and if they can’t sell it the oil, coal and gas stays in the ground, where it should." Phillips reported a sulfur plant upset at its Ferndale, Washington refinery, according to a filing with the Northwest Clean Air Agency. The incident resulted in emissions from the no. 2 tail gas unit, the filing said. Mauri Ingram reported at the Whatcom Community Foundation on November 15, 2013 that the Association of Fundraising Professionals – Washington Chapter honored Phillips 66 Ferndale Refinery for Outstanding Philanthropic Corporation. For nearly 60 years the Ferndale Refinery has provided millions of dollars and thousands of volunteer hours to support communities throughout Whatcom County. With a focus on education, the environment and health and safety, Phillips 66 supports a variety of nonprofit organizations with direct donations and generous employee volunteer and matching gift programs. Among the organizations benefiting from the company’s contributions are the United Way of Whatcom County, Whatcom Land Trust, Northwest Straits Marine Conservation Initiative, Bellingham Technical College, the Ferndale School District, Ferndale Chamber of Commerce, and Ferndale Boys & Girls Club. Phillips 66 also supports nonprofits in other Washington cities where it does business, such as Tacoma and Spokane. “Phillips 66 is an outstanding philanthropic leader that takes great pride in being a good neighbor and in helping make this a wonderful place to live and work,” wrote Mauri Ingram, president and Chief Executive of the Whatcom Community Foundation in nominating Phillips 66 for this honor. Reuters reported on October 30, 2013 that Garland told analysts during the third quarter earnings conference call that Phillips has received all necessary permits to build a new rail offloading facility at Ferndale Refinery to handle 30,000 bpd also by the second half of 2014. Reuters reported on September 11, 2013 that Phillips terminated its five-year crude supply contract with energy logistics company Targa Resources Partners LP to provide rail unloading and barge loading services for crude oil at Targa's Tacoma, Washington terminal for delivery to Phillips Ferndale Refinery. Phillips originally signed a pact with Targa Resources Partners LP (NGLS) on March 20, 2013 for five years to provide rail-unloading and barge-loading services in Tacoma, Washington for about 30,000 barrels a day of U.S. and Canadian crudes that will go to the Ferndale Refinery. Phillips 66 did not explain the decision to end the deal with Targa, which was supposed to ramp up offloading capability to handle up to 30,000 bpd. Targa did not immediately return a call for comment. The Associated Press reported on June 29, 2013 that the Phillips refinery in Ferndale want to diversify their supply as oil production in Alaska falls from historic levels and plans to build its own rail terminal and bring one oil train to Ferndale every two days, on average. The trains are made up of 100 or more tank cars, Phillips reports, with train lengths of more than a mile. Those trains will travel to and from the refineries on the BNSF line through Bellingham and Ferndale. Phillips spokesman Jeff Callender said his company hopes to begin construction this summer. Once the rail terminal is done, Phillips could meet as much as 30 percent of its 100,000-barrel-per-day demand with rail shipments. Fox Business reported on May 13, 2013 that according to a person familiar with the refinery's operations, Phillips expects to restart the crude distillation at Ferndale Refinery by May 16, 2013. Phillips 66 had taken the unit down earlier this month at the 100,000 barrel-a-day refinery, sources said. A Phillips spokesman was not immediately available. 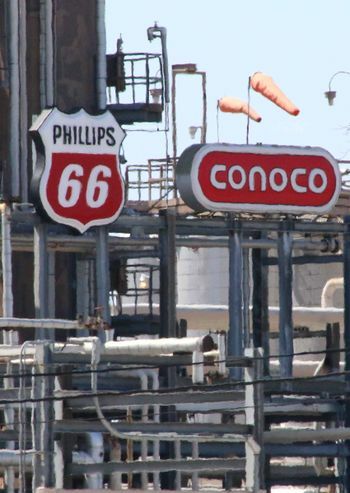 Phillips 66 reported carbon monoxide emissions from a fluid catalytic cracking unit (FCCU) flu gas scrubber at its Ferndale, Washington refinery on April 13, according to a filing with the Northwest Clean Air Agency. Fox Business reported on April 3, 2013 that Phillips plans to build a crude-oil unloading facility that would allow a train with 100 or more railcars to pull up at the refinery and have its cargo pumped to existing storage tanks, according to an application filed with the Northwest Clean Air Agency. The unloading facility would be able to transfer about 12,800 barrels of oil per hour, allowing a new train to be unloaded about every other day. 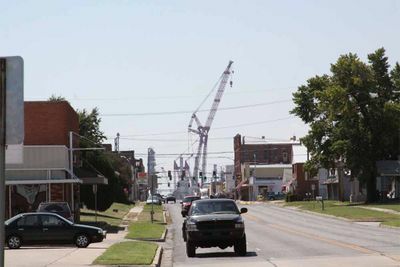 Work on Phillips 66's proposed unloading facility is scheduled to begin this summer and be completed by December 2014, according to the filing. Larry Ziemba, Phillips 66's executive vice president for refining, project development and procurement, said last month that Phillips was considering a rail rack at the Ferndale refinery that would allow the company to take in Canadian crude that could then be sent by ship to refineries in California. Eliot Caroom reported on Bloomberg on March 20, 2013 that Phillips has signed a three-year deal with Enbridge Energy Partners LP for loading rail cars with up to 35,000 to 45,000 barrels a day of Bakkan crude from Enbridge’s terminal in Berthold, North Dakota. The crude will be delivered to Bayway Refinery on the east coast and Ferndale Refinery on the West Coast. Some crude could also be sent to Gulf Coast refineries at Lake Charles, Alliance, and Sweeney. Phillips reported during their second-quarters earnings report on August 1, 2012 that Phillips wants to move the shale crudes from 120,000 to ultimately 450,000 to 460,000 barrels a day and has a plan to get advantaged crude into most of Phillips' refineries. "We are trying to get those crudes to every refinery we can," said Phillips CEO Greg Garland. "We think Ferndale can probably run 50,000 barrels a day of Bakken crude.". Reuters reported on Phillips second-quarters earnings report on August 2, 2012 that the Ferndale Refinery is "absolutely" more likely to stay in the company's portfolio if Phillips 66 can increase the amount of Bakken crude the refinery run, backing out other more expensive crudes. Ferndale can run 50,000 bpd and Phillips plans to rail Bakken crude to both plants. Phillips 66 plans to buy 2,000 railcars to move cheap crude from North Dakota's Bakken shale play to it Ferndale Refinery and to its Bayway Refinery in Linden, New Jersey. Reuters reported on June 17, 2012 that Phillips 66's Ferndale Refinery reported flaring on June 15, 2012, according to a notice filed with the U.S. National Response Center. A refinery's safety flare system is used when refinery production units cannot process hydrocarbons normally. The cause of the flaring, which released sulfur dioxide was unknown. Phillips 66 reported carbon monoxide emissions during the restart of the fluid catalytic cracking unit (FCCU) at its Ferndale refinery, according to a filing with the Northwest Clean Air Agency. ↑ My Ferndale News. "Phillips 66 grant enables B&G Clubs Ferndale Clubhouse to launch STEM program" January 12, 2019. ↑ KGMI. "Towering flare-up at refinery seen from miles around" April 17, 2018. ↑ The Bellingham Herald. "Phillips 66 appeals $37,800 state fine for acid leak at its refinery near Ferndale" by Kie Releyea. ↑ Discover Ferndale. "Sandy Point Fire gains a firefighting & rescue craft" July 7, 2017. ↑ Discover Ferndale. "Flaring created a dark smoke plume over Phillips 66 refinery this evening" July 4, 2017. ↑ Lyden Tribune. "Odor sends Ferndale students home early Thursday" by Ashley Hiruko. June 2, 2017. ↑ Bellingham Herald. "Mystery of smell that sickened Ferndale students still unsolved" by Caleb Hutton. June 6, 2017. ↑ Yahoo Finance. "Q1 2017 Phillips 66 Earnings Call" April 28, 2017. ↑ Bellingham Herald. "Phillips 66 contractor released from hospital after acid leak at Ferndale refinery" by Kyle Mittan. February 22, 2017. ↑ Reuters. "One worker remains hospitalized from Phillips 66 Ferndale leak" February 11, 2017. ↑ The Center for Public Integrity. "Use of toxic acid puts millions at risk" by Jim Morris. February 24, 2011. ↑ Bellingham Herald. "Phillips 66 replacing a major tower at Ferndale refinery" October 20, 2016. ↑ Bellingham Herald. "Carbon cap plan would affect Intalco smelter, Ferndale refineries" June 1, 2016. ↑ The Bellingham Herald. "Phillips 66 Soccer Park opens debate over naming rights in Whatcom County" by Samantha Wohlfeil. February 26, 2016. ↑ Washington State Department of Labor and Industries. "Ferndale refinery fined nearly $325,000 for workplace violations" January 15, 2016. ↑ Bellingham Herald. "Phillips 66 Ferndale Refinery hit with $324,000 fine" January 15, 2016. ↑ Bellingham Herald. "Washington aims to limit carbon pollution from largest facilities" January 6, 2016. ↑ Reuters. "UPDATE 1-Fire at Phillips 66's Ferndale, Washington refinery supports gasoline" December 21, 2015. ↑ Bellingham Herald. "Northwest Soccer Park to get major upgrade" December 15, 2015. ↑ Bellingham Herald. "Ferndale Refinery gets new safety flare system" by Dave Gallagher. July 24, 2015. ↑ Bellingham Herald. "Whatcom County environmentalists want to monitor oil trains" by Samantha Wohlfeil. July 13, 2015. ↑ Bellingham Herald. "Phillips 66 donates $166,000 to local nonprofits" by Dave Gallagher. May 14, 2015. ↑ Reuters. "Phillips 66 Washington crude-by-rail facility to open in November" by Rory Carroll. October 22, 2014. ↑ Bellingham Herald. "EPA: Whatcom's oil refineries among top polluters in state" October 20, 2014. ↑ Bellingham Herald. "Preparing for the worst: Is Whatcom County ready for an oil train derailment?" by Samantha Wohlfeil. September 14, 2014. ↑ International Examiner. "Column: Oil Trains Threaten Our Region And Our Climate" by Ahmed Gaya. August 6, 2014. ↑ Whatcom Community Foundation. "Phillips 66 and Mike Hammes Honored for Outstanding Philanthropy" by Mauri Ingram. November 15, 2013. ↑ Reuters. "Phillips 66, Targa end crude-by-rail deal" September 11, 2013. ↑ The Colombian. "Refineries prepare for N.Dak. oil trains" June 29, 2013. ↑ Fox Business. "Phillips 66 Expected to Restart Ferndale Refinery CDU This Week -Source" by Ben Lefebre. May 13, 2013. ↑ Fox Business. "Phillips 66 Plans Rail-Unloading Facility at Washington Refinery" April 3, 2013. ↑ Reuters. "Phillips Ferndale refinery reports flaring -filing" June 17, 2012. ↑ United Steelworkers. "Refinery Events - (May 11, 2012 through May 17, 2012)"
This page was last modified on 16 January 2019, at 09:44.